If you’re trying to create authentic barbecue in your backyard, a full-sized pellet grill is the way to go. But what about when you’re on the road? 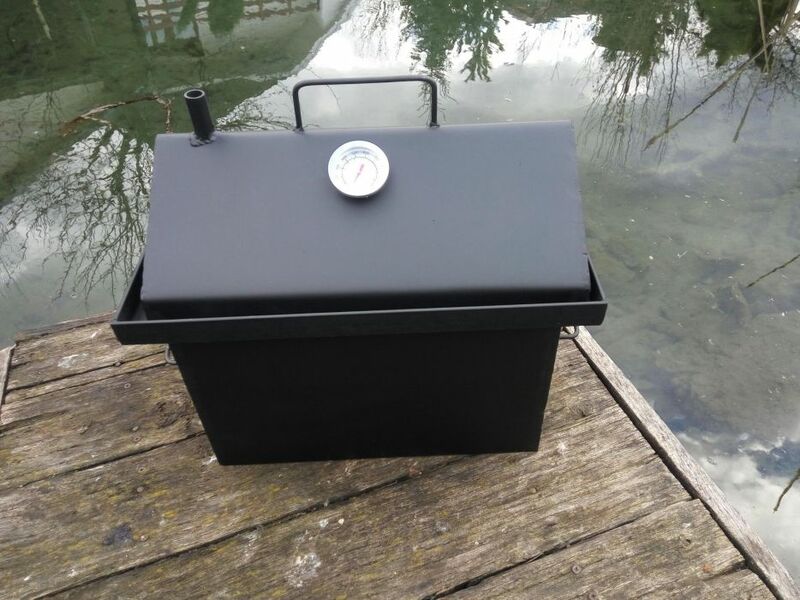 A small portable smoker is a wonderful tool to have for camping, tailgating, and generally enjoying life outdoors. If you’re trying to infuse food with bold smoky flavors and take advantage of the tenderness imparted by cooking food slow and low, these top portable smokers will fit right into your home or vehicle. If you’re trying to infuse food with bold smoky flavors and take advantage of the tenderness imparted by cooking food slow and low, these top portable smokers will fit right into your home or vehicle. This 20-something pound portable smoker is one of the best options for someone who needs a smoker with a built-in heat source. It’s essentially a small metal cupboard with a propane heater, a wood chip tray, and a thermometer built into the front door. A cooking grate helps elevate your food and provides a grill for you to smoke things on. 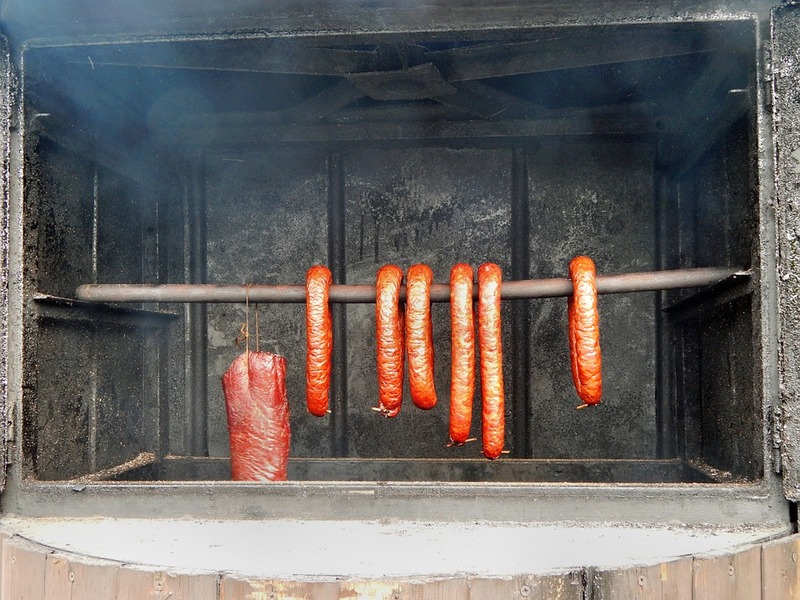 There are a number of qualities that top barbecue chefs look for in a smoker. This portable Masterbuilt ticks off a surprisingly large number of those while remaining light, small, and fairly inexpensive. 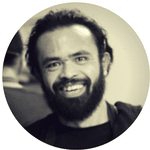 Luckily, the caveats to all three questions are pretty simple and possible to fix. As far as heat retention goes, the physical body of this smoker seems to do a pretty good job of keeping smoke and heat trapped inside along with your food. 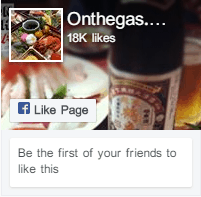 The propane burner, however, has some flaws. These mostly stem from uneven propane pressure from the included 1 lb tank as the tank empties. If you watch the temperature gauge, you’ll be able to simply let in more fuel to compensate for this lack of pressure. For a more permanent fix, simply buy a 20 lb tank. Since this smoker only uses about a couple pounds of fuel for 8 hours of low temperature smoking, you won’t have to deal with a significant change in tank pressure. The second issue has less to do with physical durability and more to do with flame durability. The propane flame emitted by this unit’s burner is somewhat prone to getting extinguished when you’re outdoors in high winds. Again, you can easily fix this by simply building a makeshift barrier with whatever supplies you have available, but it’s somewhat frustrating that the built-for-camping smoker requires this sort of concession to be used properly. Finally, the legs on this smoker aren’t amazing. It won’t tip over under its own weight, but this is definitely not something I’d be comfortable leaving unattended outdoors in mild wind or with animals around. Again, not a huge deal, since you’ll probably want to be watching the temperature anyway. This is NOT a set-and-forget smoker. Speaking of temperature, let’s talk about the gauge on the front. It’s functional, fairly accurate, and works pretty well when it comes to figuring out grill temp. For meat temps, you’ll want to use a probe thermometer. This is pretty standard – if you want a smoker with built-in meat probes you’ll have to get a pretty high-end REC TEC. Unfortunately, however, this Masterbuilt does have a few flaws when it comes to monitoring your smoking progress. The reason is simple: you can’t see inside with the door closed. With higher-end smokers, this isn’t a big deal, since you can trust that there’s nothing interesting going on inside the smoker itself. 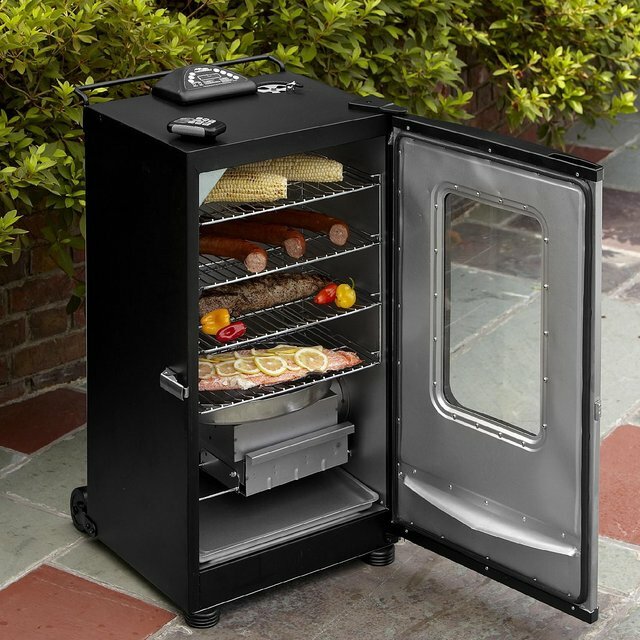 With this smoker, you might run into some problems if you let your food smoke for too long without checking on it. For one, the wood chip tray is pretty small, so you’ll be refilling that pretty often. Secondly, it’s easy to overcompensate with your propane valves and let the flame get too tall or too small, and it’s difficult to see what’s going on with that unless you open the door. The combination of these two issues might mean that you spend a lot of time looking instead of cooking. The result? Your food will still taste great, but it might take a bit longer. Now, I want to be clear – things aren’t all bad. This is still an excellent smoker as far as food quality goes. The small shortcomings that I’ve listed so far simply come with the territory when you choose a portable, self-powered smoker. There’s not a lot of room for fancy temperature controllers or even big wood chip trays in this unit, because it’s so small. As far as portability goes, this Masterbuilt is pretty amazing. You can easily throw it in the trunk or backseat of your car or stow it in your RV. It’s definitely my choice of portable smoker for camping, at least if I’m camping near my car, due to the fact that it comes with a heat source so you don’t have to fiddle with making a charcoal fire. If you want a portable gas smoker, this Masterbuilt smoker grill is one of the best options around. It’s flawed, sure, but it does a very good job producing flavorful, juicy meats, veggies, and fish when you’re on-the-go. If you want a smoker for tailgating, camping, RV-use, or you simply don’t have a lot of room on your porch, this Masterbuilt is a great choice. Ziv’s portable meat smoker is a neat tool that turns any heat source into a brilliant smoker in a jiffy. It’s a 15 lb carrying case that contains a collapsible container with walls, a roof, proper ventilation, and a temperature gauge. An interior grate allows you to suspend your food over the flame. For backpacking or camping away from your car, this is definitely the portable smoker to choose. You’ll have to make a fire, sure, but once you’ve done that, all you need to do is unpack this contraption and you’re good to go. While it’s somewhat heavy, it’s quite small, meaning you can easily carry this by hand without any awkwardness. One thing that’s not immediately apparent from the description of this product is how big it is. It’s pretty big. It’s got about 110 square inches of cooking space, which isn’t massive, but will seem humongous when you’re out in the field. There’s a lot of interior space, too, so you’ll need to build a pretty beefy fire if you plant to warm up this smoker with natural fuel. The lack of an included heat source will probably either make or break this smoker for you. 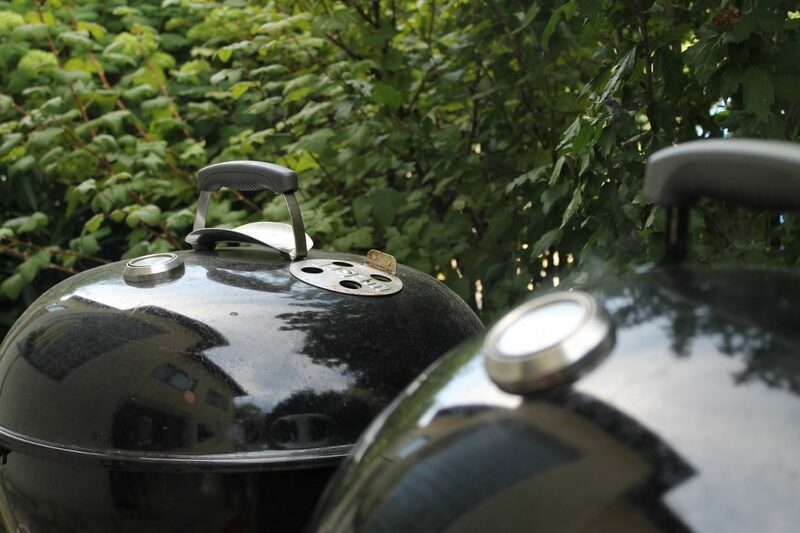 If you like starting and managing charcoal (or wood) fires, you have a gas grill that you’d like to turn into a smoker, or you have a hot plate that you’d like to try to use to smoke large quantities of food, this smoker is a pretty good choice. If you don’t already have a heat source you’d like to use, however, the Masterbuilt is probably a better choice. There’s a surprisingly small weight difference between these two smokers, especially if you factor in the weight of whatever fuel you’re using for the heat source you’ve chosen. Ziv’s smoker is significantly less awkward to carry long distances, sure, but it’s still pretty darn heavy. Overall, while I love the clever design of this portable wood smoker, I think that it’s a somewhat niche choice. The lack of an included heat source, the high weight, and the awkward combination of a big vertical box with a somewhat small cooking grate makes it less than ideal for some applications. If you know you’re going to walk for a while before smoking food on a natural fire, this might be the tool to use. Otherwise, consider simply using a Masterbuilt for convenience. This Nordic-Ware smoker is designed for interior use. It’s got a built-in water pan, a rack, a thermometer, and even a handful of wood chips that you can use to add flavor to your first few smoking projects. 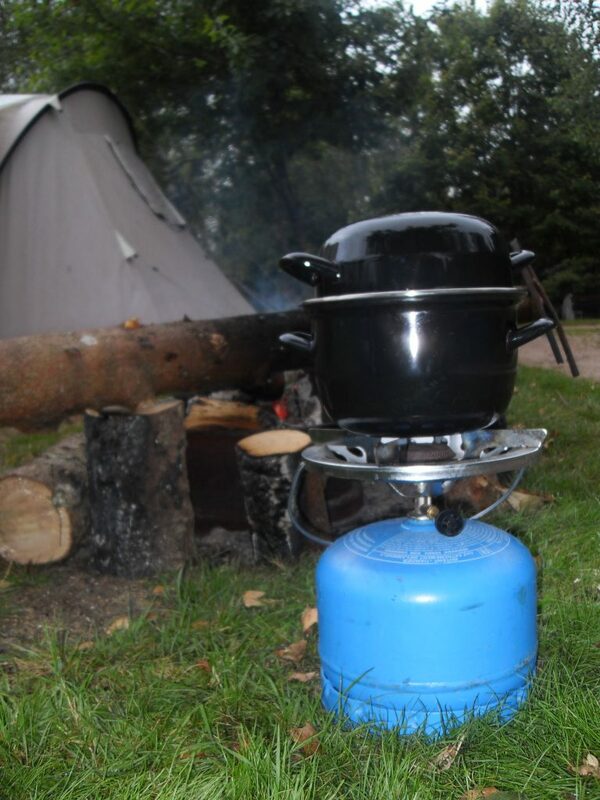 Most importantly, it’s small enough to easily fit on top of your stove at home or on top of a hot plate while you’re out camping. Despite the small exterior size of this smoker, you might be surprised to find out that it has something close to 130 square inches of cooking space on the inside. You can comfortably fit a small rack of ribs, a medium chicken, or a pretty big chunk of brisket inside of this kettle-like smoker. In fact, the biggest problem you’ll run into is likely to be the lack of vertical space. This is an especially frustrating limitation with large poultry. With things like ribs and brisket, however, there’s plenty of room. The included water pan helps keep food moist, while any wood chips you’ve stuck at the bottom will heat up and release a decent amount of flavor. It won’t be as flavorful as food you smoke on a true pellet smoker, of course, but you can’t exactly bring a big Camp Chef pellet grill with you while you go camping. One of the things that I like the most about this simple smoker is the fact that it has an adjustable vent in the top. Rather than expect you to simply modulate the temperature of your external heat source, NordicWare lets you control the temperature by letting steam and heat out when the smoker gets too hot. This is especially handy when you’re cooking over an charcoal or wood flame and you can’t easily make small temperature adjustments. While this smoker is designed with indoor use in mind, you’ll have to jump through a bunch of hoops to use it inside safely. For one, the manufacturer suggests that you have a pretty powerful exhaust fan and a couple of open windows to keep the air clear. The smoker itself gets quite hot, so you’ll need to keep your hands protected should you need to adjust it or remove it from the heat. It’s also a potential fire hazard when it’s unattended (like the other two smokers on this page), and you should be very careful about using it with children and pets around. Finally, the wood chips that you use in this smoker can smolder for quite a long time after you remove them on heat, so you’ll have to take special precautions to stay safe when you dispose of them. Overall, while you won’t get quite the same results from this stovetop smoker as you would a gas or pellet smoker, you’ll still get some pretty tasty food. The small package, durable construction, and surprisingly large interior grate make this a brilliant choice for people who want to smoke on their RV trip, tailgate party, or while they’re camping. It’s harder to cook a big bird in this smoker than the Ziv above, sure, but otherwise it’s a fantastic tool that you’ll get lots of use out of. If you’d like to enjoy the incredible taste of smoked foods on the go, these top portable smokers will help you make fresh barbecue outside of the house. The Masterbuilt model is perfect for people who want to relax while they watch their smoker do the work for them, the Zev lets you build a smoker in minutes from a compact carry briefcase, and the NordicWare allows you to turn any hot plate or campfire into a smoke-infusion device that’s perfect for all sorts of meat, poultry, fish, and vegetables. Each device has its own pros and cons, with the Masterbuilt being big and bulky, the NordicWare having low vertical clearance, and the Zev being fairly heavy and requiring an external heat source. No matter which one you choose, however, you’ll be able to enjoy delicious smoked foods that you prepare yourself in your favorite outdoor locations.